This blade belongs to Jyo Jyo Saku ranking. Blade length : 71.81 cm or 28.27 inches. Width at the hamachi : 3.30 cm or 1.29 inches. 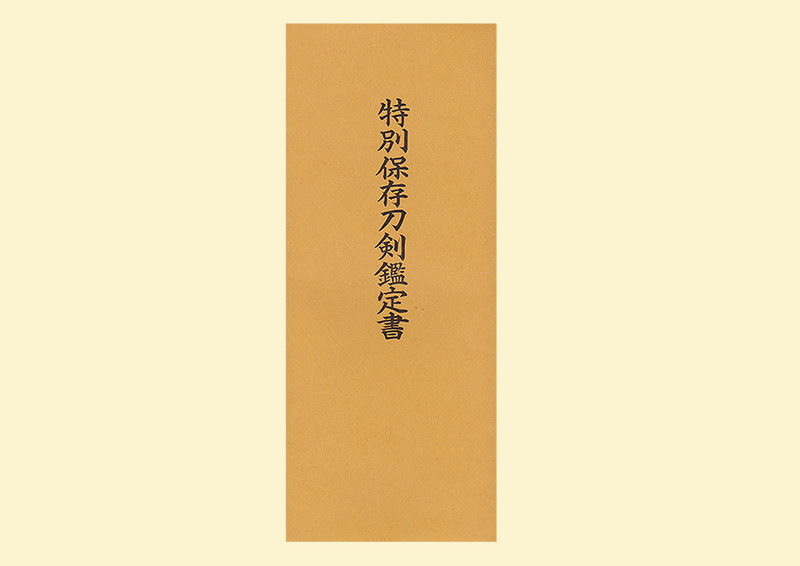 Width at the Kissaki : 2.41 cm or 0.94 inches. Shape : Wide and thick, Okissaki Katana. Jitetsu : Ko-Itame HAda well grained with Jinie attach. The Jigane is beautiful Nashiji. In Ha, there are Ashi, Sunagashi and Kinsuji. was born at Mutsu Shirakawa province as a son of Koyama Munehira. to Edo Tenpo 2 nd year.At that time he was high reputation of cut well swords maker. and also possession name on the tang of the blade. He passed away Meiji 5th year 70years of age. He was well kown swordsmith at that time and left famous story. so Munetsugu got angry and applied for a duel to Kiyomaro. I don’t know the result but his intense feeling was succeeded to make swords. how to make cut well swords. So Koyama Munetsugu has many Saidanmei swords during his life. well and good condition without Kizu and flow. This sword is quite well jigane and Hamon. officer Yasunao Matsudaira 3rd Takayoshi Shibata, and Gocyu Shibata. Genichiro Fukuchi and Yukichi Fukuzawa. From Aoi Art: Munetsugu has a high reputation as a cutting quality. And the quality of his blades have a high standard. We have never seen his faults blade. This blade is nice workmanship. on March 28, 1876. So that blade is very precious.